The Fire Flame Hat is a fire-themed hat with little fire flames. 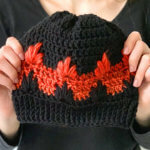 The combination of the extreme drop stitch and red/ orange yarn makes the hat look on fire. 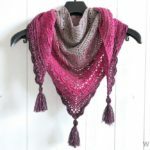 It’s a fun pattern that works up fast and can be made with any worsted yarn. 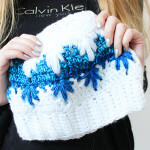 It’s a perfect crochet hat for kids and adults and is available in three sizes: toddler, tween and adult. When I was working on my Frozen winter (bun) hat and Leafly Autumn Hat, I noticed the extreme drop stitch looks like a fire flame. Especially when using red / orange yarn. 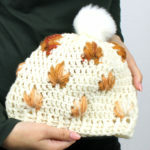 So I decided to reverse the pattern, starting from the top working to the bottom, to make a fire version of my Frozen Winter and Leafly Autumn hat! 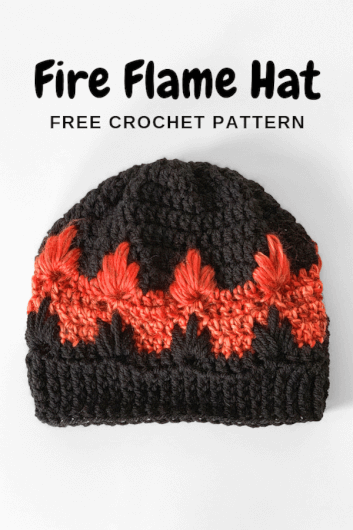 I immediately thought of all the boys and girls who love firefighters, making this a perfect crochet hat for kids and adults. the Fire Flame Hat which is perfect for your firefighter friends. 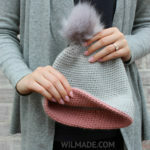 This hat is made with double crochet stitches and of course the extreme drop stitch. The hat is worked top-down which means we start working on the top and end with a brim. 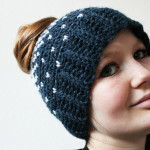 The brim is made with front post double crochet stitches. The hat is worked in joined rounds which means we start with 3 chains which count as the first DC and we end every row with a slip stitch in the first stitch. 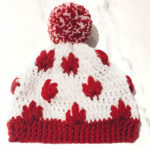 The hat is made with many repeats and multiples of 6. This pattern is available in three sizes: toddler, tween and adult. You can easily make the hat bigger or smaller by adding or removing multiples of 6. 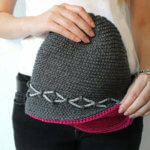 For this hat you can use most worsted yarn. However, to make the ice (extreme drop stitches) pop out, I recommend using color-transitioning yarn. I’ve used Knitpicks Brava Worsted Yarn (color white) and Knitpicks Chroma Worsted Yarn (color Red Velvet). 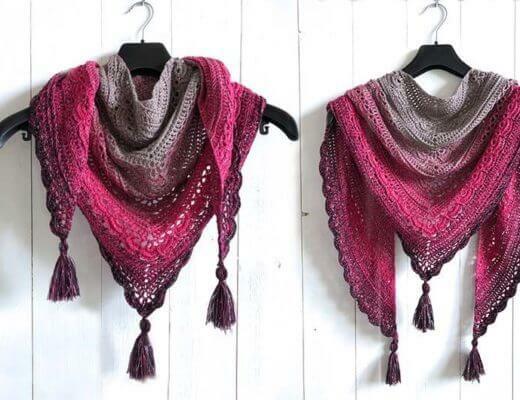 This is luxurious, high-quality yarn with an affordable price. Knitpicks has many different color options, which makes it great for a hat like this. 1. Yarn over, insert hook in next ch-space, pull up a loop. Yarn over, pull up another loop. You now have 5 loops on your hook. 2. Yarn over, insert hook into ch-space from row directly below, pull up a loop. Yarn over, pull up another loop. You now have 9 loops on your hook. 3. Yarn over, insert hook into ch-space from row below (3rd ch-space), pull up a loop. Yarn over, pull up another loop. Yarn over, pull up another loop. You now have 15 loops on your hook. 4. Yarn over, insert hook into ch-space from row above, pull up a loop. Yarn over, pull up another loop. You now have 19 loops on your hook. 5. Yarn over, insert hook into ch-space from row above (5th ch-space), pull up a loop. Yarn over, pull up another loop. You now have 23 loops on your hook. 6. Yarn over and pull through all loops together. Chain 1. 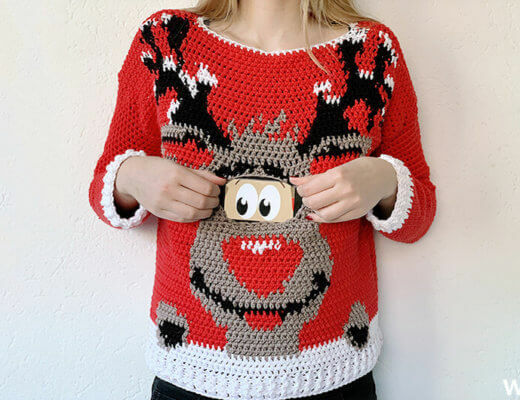 – The amount of stitches should be a multiple of 6. Take this into account when you want to make a larger or smaller hat. – Directions for sizes are in parentheses such as “ch 54 (48, 36) ” whereas ch 54 stands for woman, 48 for tween and 36 for toddler size. 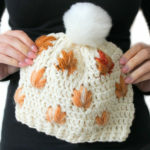 Below you can find a video tutorial of this fire flame crochet hat for kids and adults. Start with 54 (48, 36) foundation DC and slip stitch in the first stitch. Note: the hat might look too tight, but no worries. It will become much wider in the following rows. Fasten off and leave a long end for sewing. Use a tapestry needle and weave yarn through all stitches of the first round. Pull tightly. Your crochet hat for kids and adults is done! 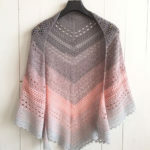 If you make one, please tag or mention me on Instagram @wilmawestenberg and add it as a project on Ravelry. I would love to see what colors you used and feature some of your pictures! 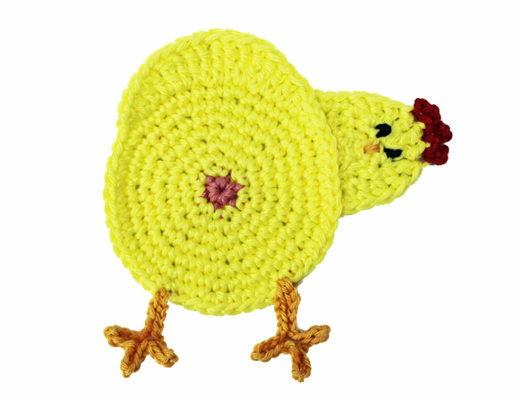 If you have any questions about this crochet hat for kids and adults, feel free to join my Facebook Group. I created this group for you to share pictures/ progress, ask questions and to help each other out.